You play golf, we do the calculation! The Golf Scorecard app automatically calculates your Stableford points. Just set your stroke index (SI) and enter your score after each hole. The Golf Score app calculates your Stableford points. 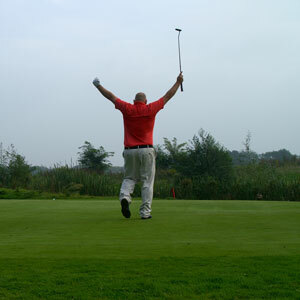 You know your score when you reach the nineteenth hole! Try for yourself and download the Golf Score app now! You will see that it is a very handy tool. Both for beginners and seasoned golfers alike. "Also works on my iPad .. great app"
"Finally a user-friendly app that calculates my Stableford points"